Motorola the absolute smart phone manufacturer has provided the Moto fans loads of assortment and infinite number of options in their phones in the last couple of years which is why the company has been able to sell enormous range of smart phones previously in the year 2017. And this time of the year Motorola has come back with the latest entrant with the name of Motorola Moto X4. 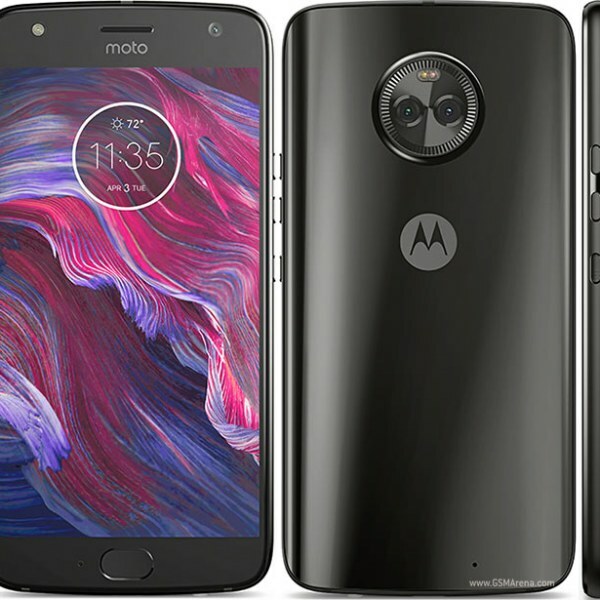 Moto X4 by Motorola has it all the wide number of features, magnificently constructed with scintillating design, genuine and solid specifications, tremendously engineered camera on both front and Rear, and last but not the least enduring battery. Knowing the Specifications of this greatly devised smart phone it’s quite worth it and overall it’s a wise spending of money to buy this smart phone. The Moto X 4 is an impressive phone with all the prime options and functions which makes it a great attraction for the consumers around the globe. In order to analyze this smart phone let’s just check what’s inside of Moto X4. Motorola is getting much better each day when you speak about the Motorola smart phone. Design wise the all new Motorola X4 is incorporated with the refined glass on each side that is front and back side of the phone to provide extra protection and care. Not only that the phone is designed with glass on but also it is fitted with aluminum frame. This makes it more durable, reliable and long lasting. The back of the phone has a dual lens camera which is encased in a rounded Bump and flash light on top of them. If you go a little down further in the same direction you will find the trademark Motorola Logo The rest of the rear is pretty simple but due t o aluminum body the back of the phone looks purely mesmerizing. It is added with more value added features like the IP68 dust and water proofing which means that the phone can resist the major and minor water splashes of water for an instance if the phone is accidentally slipped from your hand in the water it can survive the water up to the capacity of 1.5 meters or half an hour at the max. And because of the Dust proofing features the phone can defy the sand and dust getting inside of the phone which usually cause malfunctioning in the phone. Moto X4 has quite a sleek look when you compare it with the previous models but due to the metal frame more weight is added on to this supreme smart phone. This smart phone which is known as the Moto X4 has circular edges which put in more charm to it. The front of the any smart phone is much vital and in the new Moto X4 it is encrusted with Corning Gorilla Glass 3 to secure the front of the screen from accidental drops and slide so even the phone skids out of your hand because of the glossy and shiny surface it still stays in one piece and works absolutely fine in these situations. On the right border of the smart phone you will observe the Volume controlling keys which is easy and smooth to use when you need to turn on the volume or want it to keep it on the low the power button which is usually function to turn on the and off the phone accordingly will be much heavier and longer. The Front of the phone managed with selfie camera on one plane while the sensor on the other in the same direction, the bottom of the X4 is incorporated with the intelligently and dedicated home button which has a finger sensor built inside, the finger print sensor is attractive and highly responsive. You can use the sensor to adjoin more security and protection of the phone so all the confidential data and other personalized work will stay safe with you at all time. The finger print sensors work commendably fine and you can lock and unlock the phone as many times as you want the result will come out the same. Finger print sensor is one of the main attractions of the Moto X4. Beside the home button through which you can navigate easily in to the menu and work things out it has three buttons which can be used while touching the bottom front the one button is to backed up from the main menu and directly jump to home the other one is to simply shut down the running applications which will drain the battery real fast which is not a good sign for the phone. And the last one is to skip any applications you will be using and coming back to the main screen of the smart phone. The charging slot is provided in the bottom while the Audio head phone jack is inducted on the top of the front so you can enjoy the music and the sound phenomenally well. Moto X4 has a shiny surface and when you hold it in your hand to check it out you simply find a differently design Motorola smart phone with the features never before seen in the previously manufactured Motorola phones.